Snapshots — Paul Goldsmith, A.S.C. 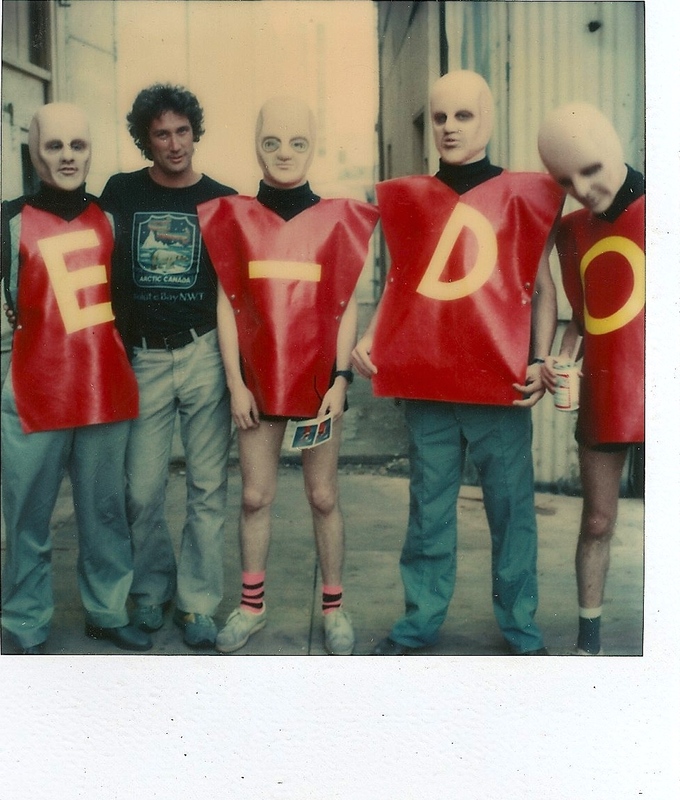 Devo, shooting videos. FREEDOM OF CHOICE, GIRL U WANT. L. A. Johnson was the producer, we had both come straight from HARD RAIN. On train during ROLLING THUNDER REVUE. Bob is guiding me as I film moving backward. We interspersed concert filming with Bob’s feature movie REYNALDO AND CLARA. With Ali in Zaire., WHEN WE WERE KINGS. If aliens ever came to earth and asked me to take them to the best example of a human being…Ali would be my obvious choice, in every way. TVTV in TV GUIDE article. As a result of TVTV filming HARD RAIN for Dylan who gave an interview in the same issue. Rambling Jack Eliot, during ROLLING THUNDER. I had filmed Rambling Jack in a student film I made when I was at NYU. 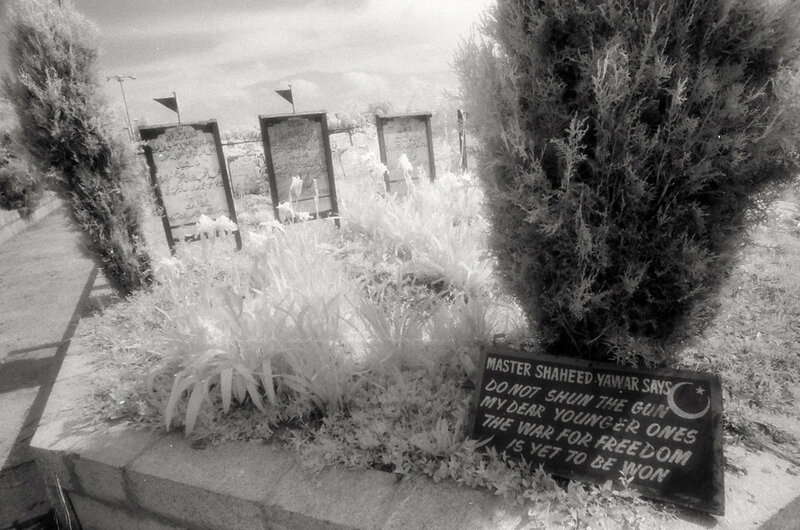 I came across this Moslem cemetery outside of Srinigar, Kashmir while filming a doc on weapons of mass destruction. On the set of BIG MAN while filming doc THEMES AND VARIANTS. Although we were just a little 16mm doc film our technology was more advanced than theirs. We had radio mikes, an electric slate, hand held camera, and fast film. 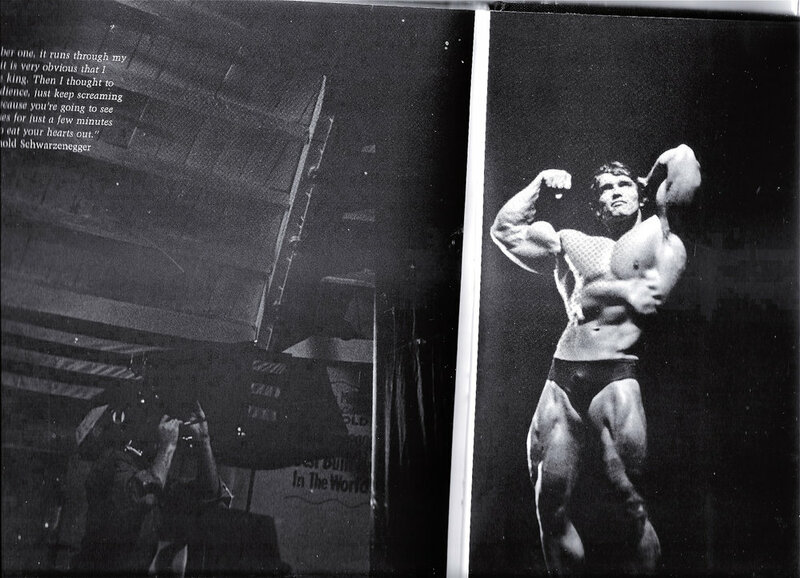 I’m in the dark lower left during early filming for PUMPING IRON. Arnold was newly arrived in America, still with a strong accent, but very calm, confident, and friendly. Zaire 74, James Brown, 2 am in an almost empty stadium in Kinshasha, WHEN WE WERE KINGS, SOUL POWER. The start of the French Grand Prix at Rouen in 1962 and also the start of my career as a cameraman. I am one of the guys standing behind the grid with a camera (a 16mm Kodak K100 with a wind up motor). I had stumbled into the job during my 11th grade summer vacation in Europe. My instructions for this shot was to walk out among the last cars on the grid, turn the camera on when they raised the flag, and film until the motor ran down. Jackie Chan not too sure about that tiger. Commercial. NYTimes article about TVTV. We had gone down to San Clemente to try to ambush ex-president Nixon (he had just resigned and fled west). My last job shooting film (not tape or digital). Fittingly, I’m up in the rigging of an ancient square rigger which has always been my metaphor for film versus digital. Making INTO THE DEEP, WHALING AND THE WORLD for Ric Burns. 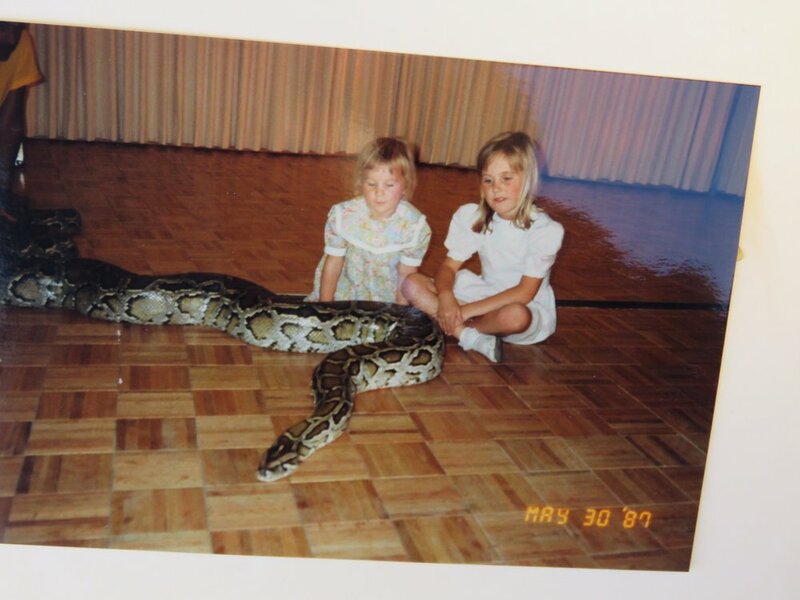 One day when I was filming Michael Jackson he asked us all to bring our kids to his house to play (he didn’t want to shoot that day) so brought Tamsin and Columbine (I only had those two back then) and Michael brought out his chimp Bubbles and his python, He wanted Bubbles to ride the snake, but somewhere back in their vestigial memory they both knew that they should play different roles. Later in the same doc film I was one of the two cameras focused on Michael when his hair caught fire. My assistant was nervous as he unloaded that film magazine surrounded by lawyers, producers, and bodyguard. Bill Murray was my soundman when we filmed Ken Kesey’s SPRING HOO HAW at his ranch. In a field behind the barn was his bus FURTHER, from the days of the Merry Pranksters and Acid Test. 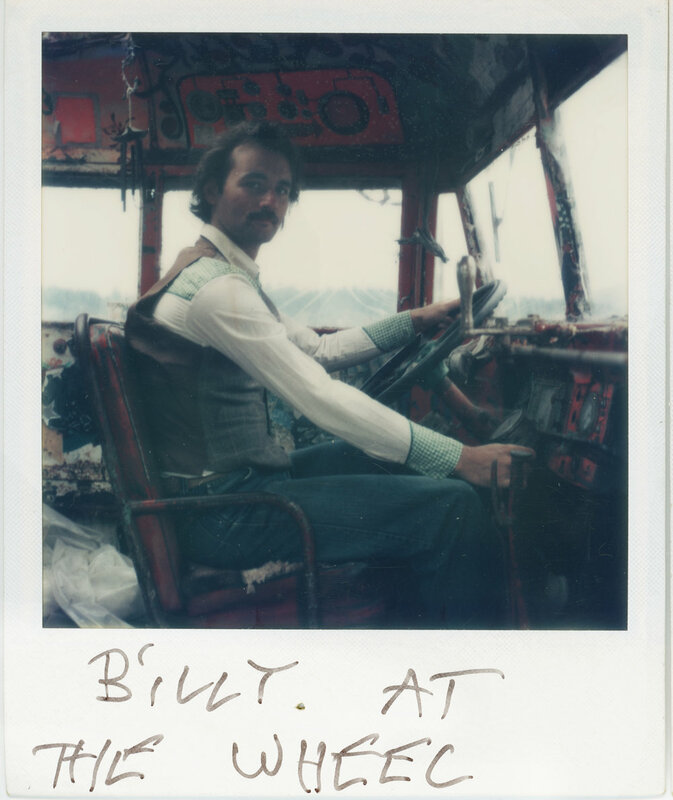 Neal Cassidy had been the constant driver of the bus, now Billy got behind the wheel. Kesey said that the Smithsonian had asked for Further, but he had made a duplicate and given them that one, this was the original.